Pearl with the size which is to the extent it's called when it's small, very. Freshwater Pearl like a bubble in a sea. It was wound on a hoop 1 round luxuriously. " Rice type" pearl with the shape like the grain of rice. Only the well-shaped one chosen from it through is being chosen and made. The rice type doesn't become too formal compared with a round. There is a moderate casual sense. A pearl was set like a chandelier in a central chain. Each 1 drop has been completed by a special method. There is an existence sense for a large hoop. But I'm very small freshwater Pearl, so it's delicate and elegant. I want Youth of a town to use it for a dinnertime at a resort. 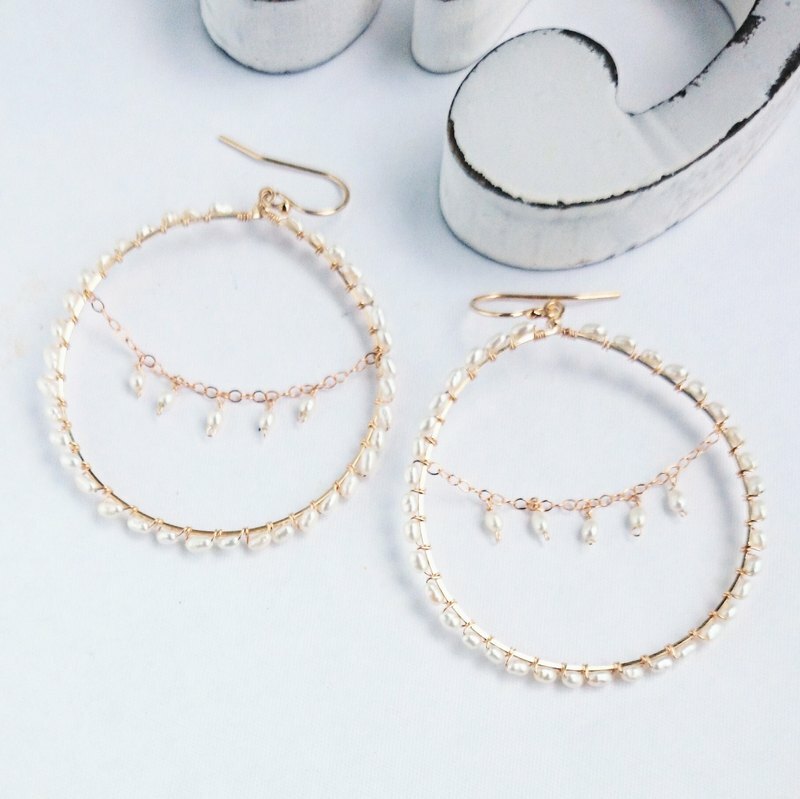 Natural stone/fresh-water pearls (the rice type 1.5-2.0mm) Metal fittings and wire /14kgf The hoop diameter/about 40 mm ※ The respective sizes are an aim. ※ The atmosphere of the color depends on the environment of the monitor that you use it, and it's sometimes seen. ※ When it's pulled hard for a handicraft, it breaks. Attentively, please handle it gently. ※ The difference in shipping charge is made the price of the packing material. Please understand. A producing center/production method A producing center: Japan Handmade.